Day 3 started later than the others.... I had been up at the markets until pretty late the night before and when my alarm went off I stupidly assumed it would be kind of gloomy again for my last day. When I stepped outside I was immediately angry with myself for letting hours of sunshine in Taipei go to waste but none the less booked it off to Longshan Temple in the southern part of the city. The image you see above is the main area of that temple, it is fairly large and extremely well kept especially considering the massive amount of traffic in the area! The man here is actually pushing all the wax from the candles to the center to keep everything from overflowing. The main entry to the temple, as shot from outside. After walking around for some time and taking the whole place I headed outside for some more street work at a local market area and park near the temple. Some of the people here are clearly struggling but for the most part seemed to be fairly content and happy. Coming around with the camera brought a lot of smiles instead of the usual ducked heads and gloominess! This man pulled up his truck to the street, grabbed his scale and started selling right there! This was easily one of my favorite captures of the trip, the man seems so simple in the scene. like he just exists there without a care in the world even though somehow you can tell he is a man who has been through alot. From here I headed out to 101 again, now that it was sunny I did not want to pass up an opportunity to go up to the top. I stopped at Sun Yat-Sen Memorial Hall on the way for a couple quick shots of the massive building on the way. I actually ended up not loving any of the images from the top of 101 due to how high I was. It was hard to capture something other than a snap shot because of the massive amount of city sprawled out before you at the top. I can say that the worlds fastest elevator did impress though! I was going to try to squeeze in a ride on the infamous Maokong Gondola but ran out of time after 101 and decided I had to make the trip up elephant mountain for the sunset and night shots I had came to the city for. All I have to say about that is if you come to Taipei, you must go up Elephant Mountain. The first bit of the trail sends you through a small park before leading you to the mountain path. A fair warning the hike is steep and takes about 45 minutes bring a snack and some water! Just started to get my first glimpses of Taipei before the first veiwpoint. The amazing veiw from the first veiwpoint, and what would become my daytime shot of taipei. Easily the best photo from the trip and one of the most amazing sunsets i have ever witnessed. 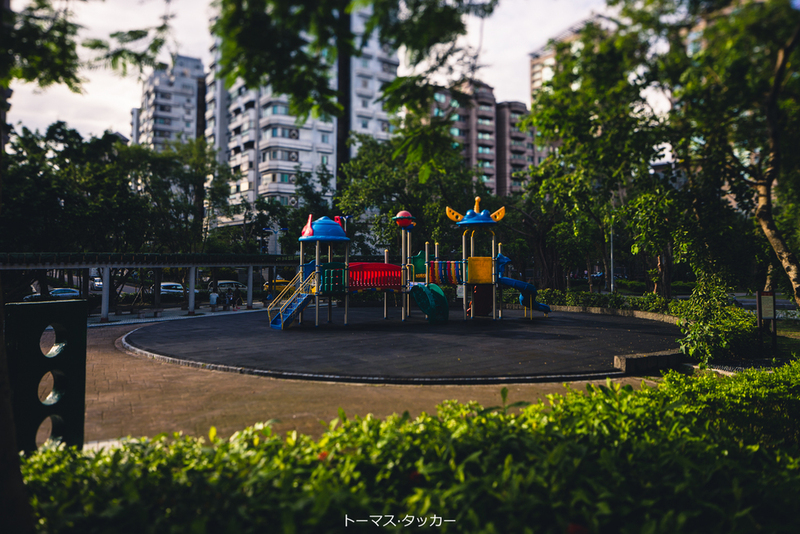 I also learned that taipei is fairly photography friendly, taking this shot i stood next to about 15 or so local photographers all coming up with various amounts of gear and all chatting each other up! after soaking up that amazing sunset i decided to hang around and make a few local friends for the coming bar tours and snapped some more awesome shots of the skyline coming to life. 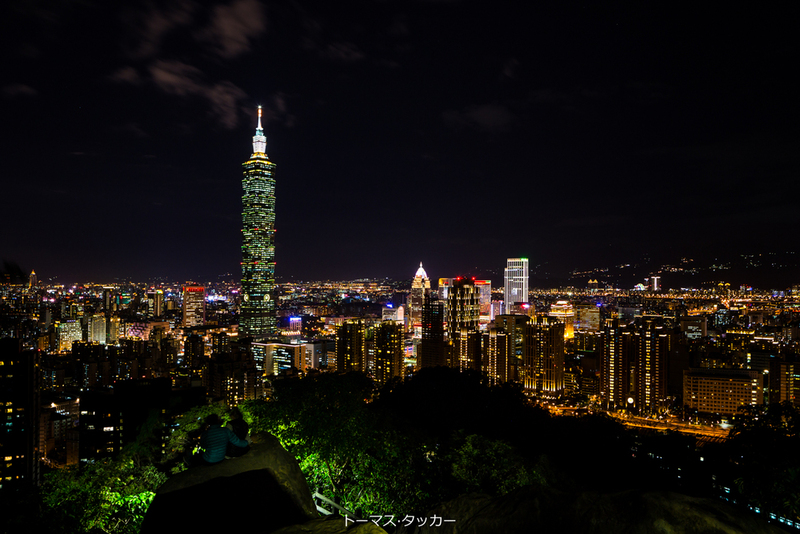 These last two images came to be the last great ones from my trip to Taipei, I personally love the couple sitting on the rock overlooking the city and after this me and my new friends headed down the mountain for some drinks at a couple bars. I sadly had to awaken the next morning and hop on my plane back to Okinawa but I know for sure I will make a return trip to Taiwan for some more memories. That is it for Taiwan! Please let me know what you think of my trip, my photos, and the blog in general! This is my first time doing anything like this so any tips are appreciated and as always please share this content with everyone you know if you like it. More followers means more interaction with you guys and possibly more travel! I will continue to post about my travels in Okinawa and coming soon will be lots of content coming out of Europe! If you have any questions about any of the images, how to get to any of the places I photographed or even about what gear I used feel free to ask away! I hope you enjoyed looking through these photos, Have a great rest of your day! See an image you love? Want it on the wall? Contact me now for prints! Please Like, Share, and give us a follow! Everything helps!